Hey guys, day before yesterday i made a tutorial on WEP cracking using a build-in tool called “fern wifi cracker”. 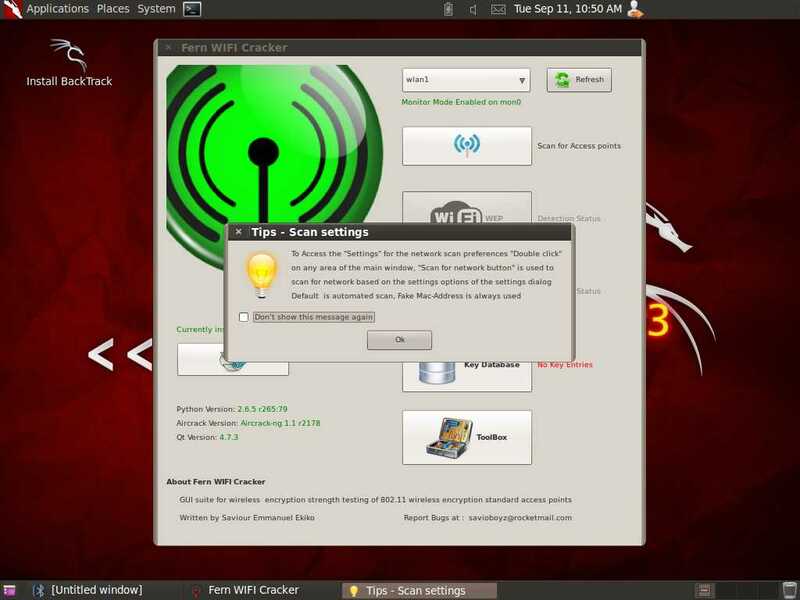 Today i’ll show you how to crack WPA2 CCMP using the same tool, so now let us begin.. Select the wireless interface from the list. Now click on the button with the wifi logo on it, the scanning will start when you click it..
Now you will be able to see the xterms running WEP & WPA scanning (its using airodump) *in the pic i actually closed the xterm for wep. 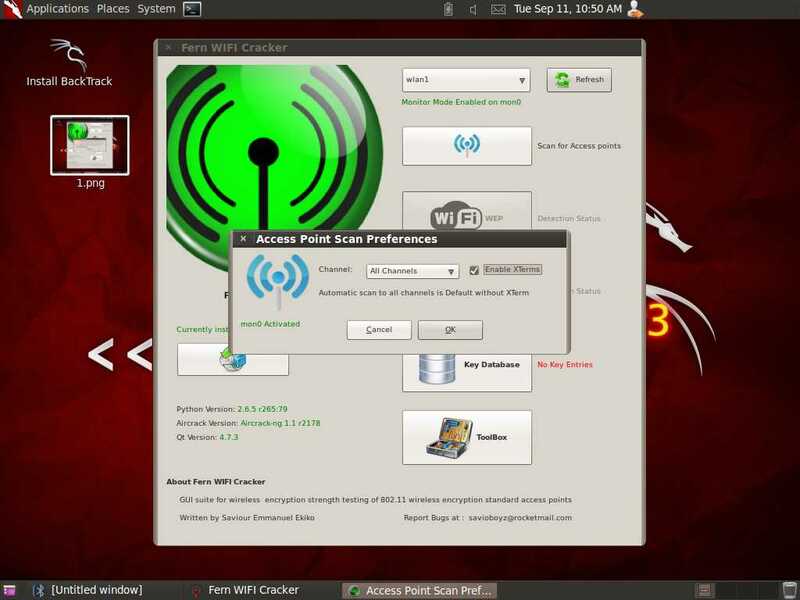 Now when you get the WPA-handshake, the tool will start the dictionary attack automatically and if the password is there in the wordlist then it will be displayed on the window..
Zircanavo Abyss is an Independent Security Researcher who’s Passionate about Wireless Hacking and Security.